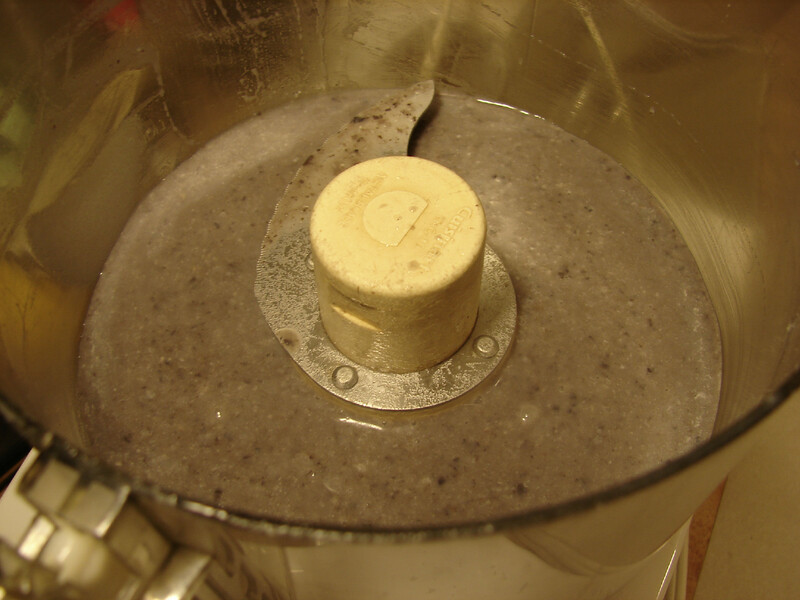 In a food processor or blender, puree beans and milk until smooth. Set aside. 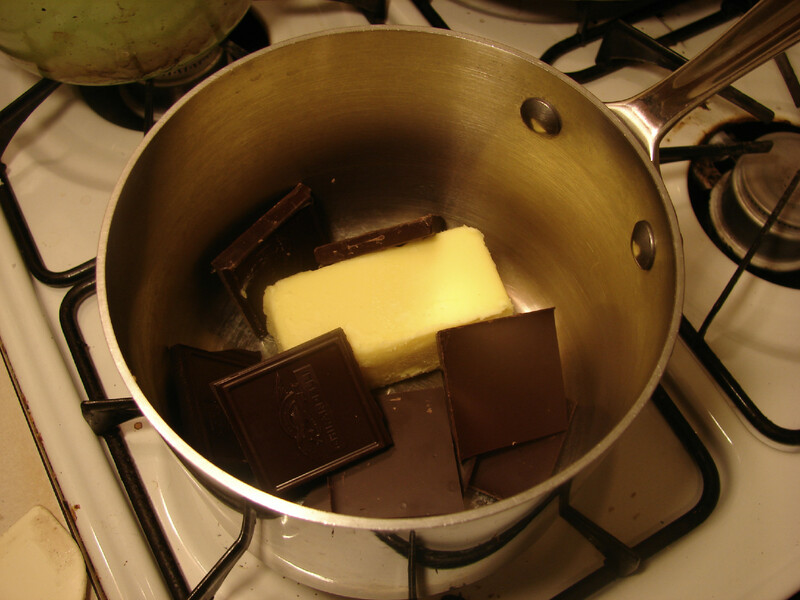 Put butter and chocolate (broken into smaller pieces) in a small pot and melt over low heat. 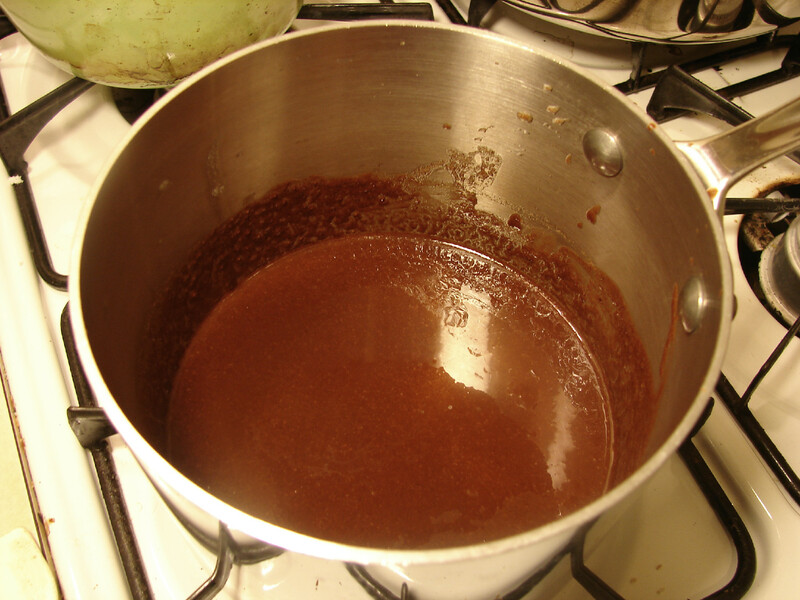 Use a double boiler if you have one. 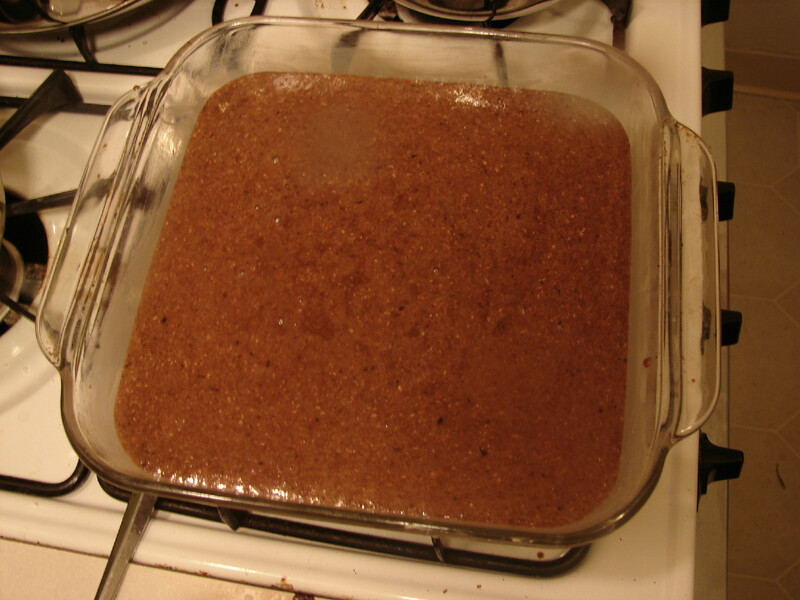 In a large bowl, beat eggs and sugar until light and foamy. Add a little bit of the egg mixture to a measuring cup. 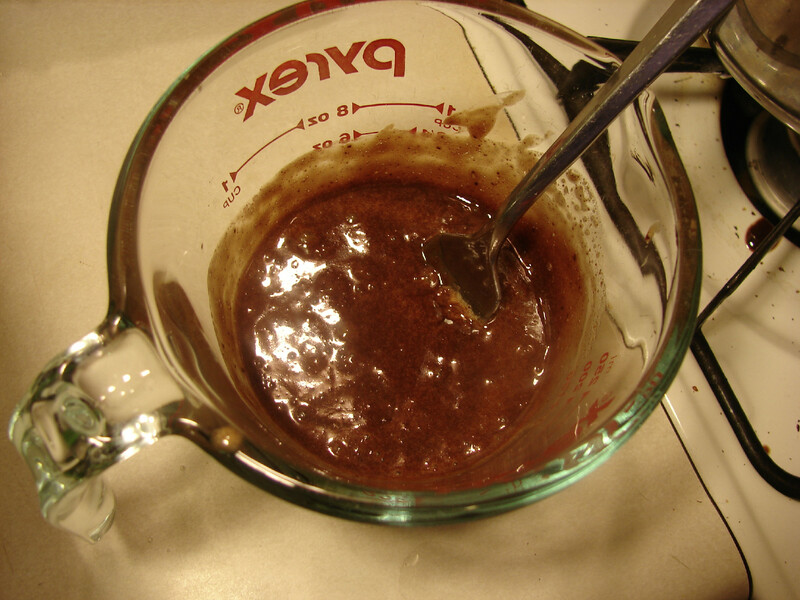 Pour in some of the melted chocolate mixture and whisk with a fork. If you aren’t familiar with it, this process is called tempering. 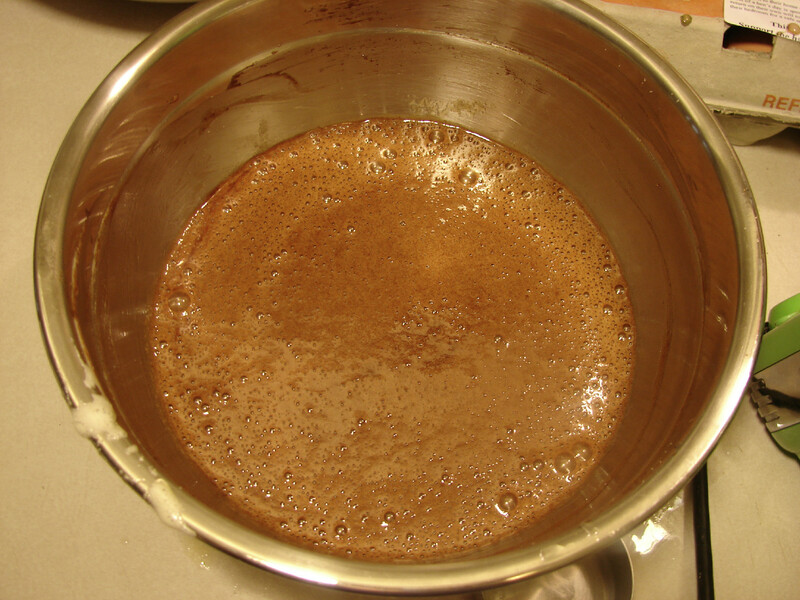 Its an important step because it ensures that when you pour the rest of the hot melted chocolate mixture into the eggs, they don’t cook. This step is even more important when you add eggs to a pot of hot food. One time I had some pudding that one of my friends made. 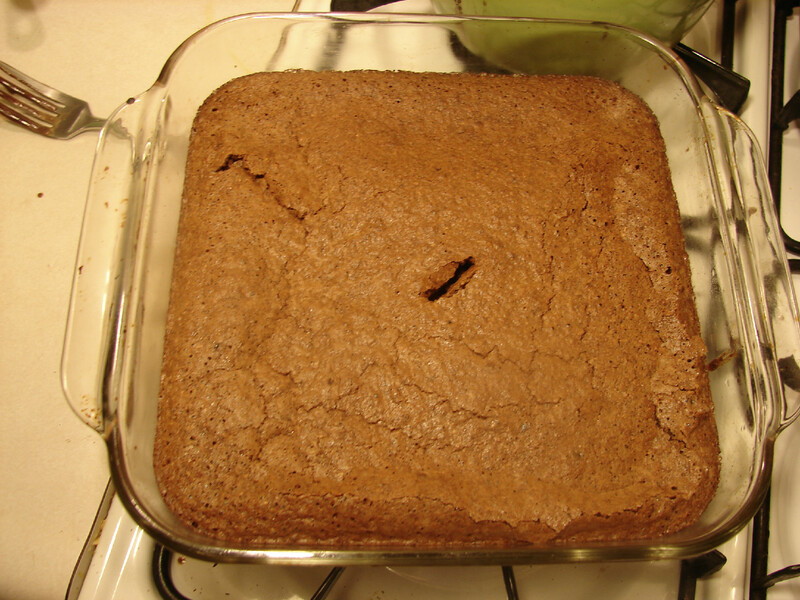 When she added the eggs, she skipped the tempering step and cracked them directly into the pot. I found a whole egg yolk in my pudding! 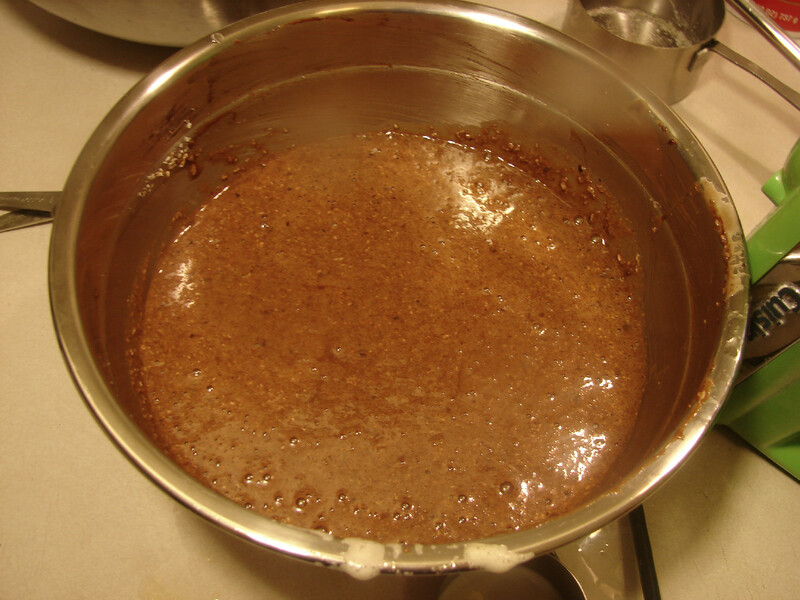 Pour the chocolate egg mixture into the rest of the eggs, followed by the rest of the chocolate. 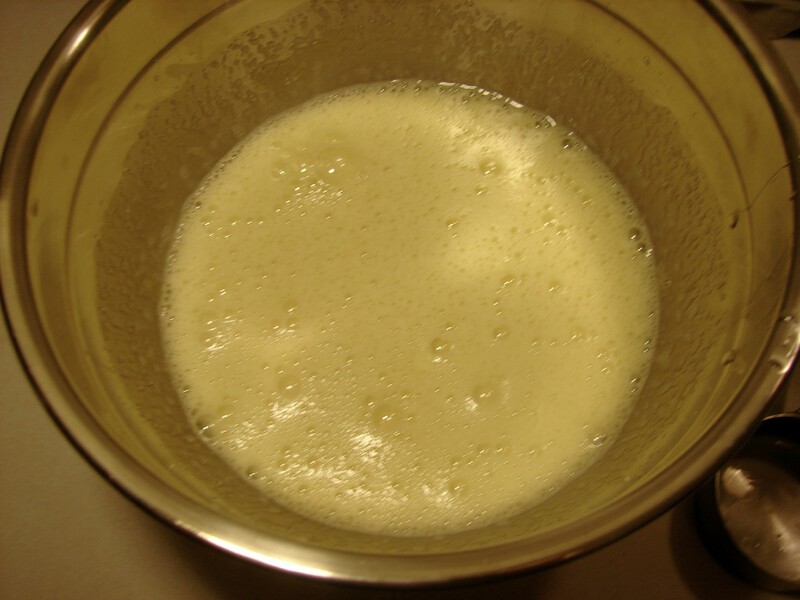 Add bean mixture, vanilla and salt. Add the coconut and mix well. 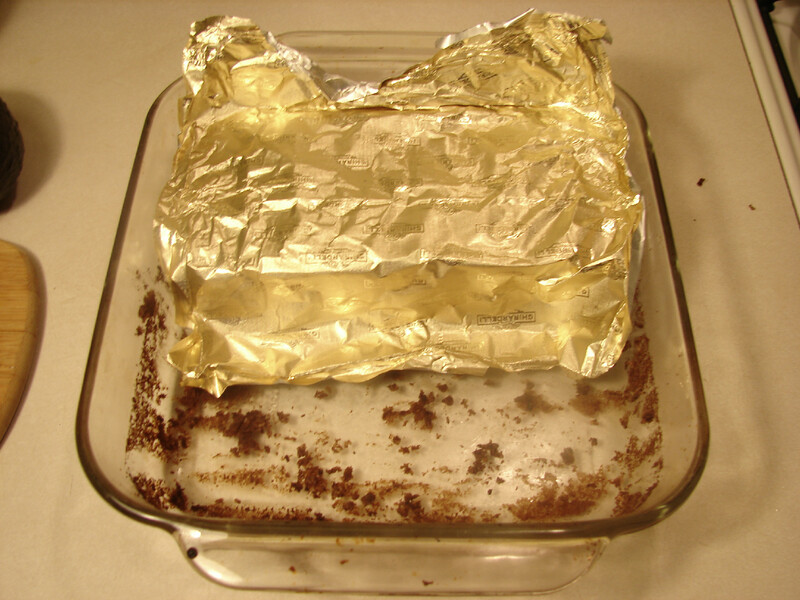 Bake at 350 degrees for 30-40 minutes or until a fork comes out clean. A thin crust will form on top. 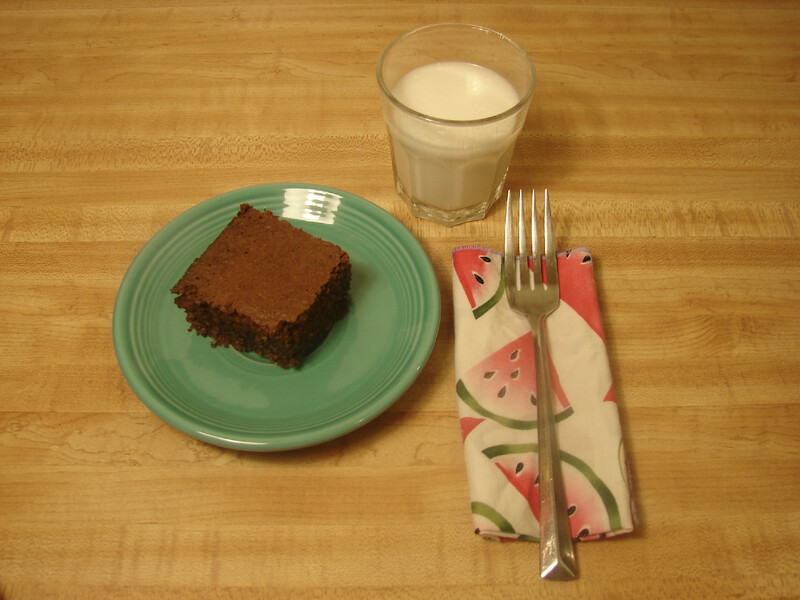 Serve with a glass of coconut milk if you like. Anyway, enjoy the cake! 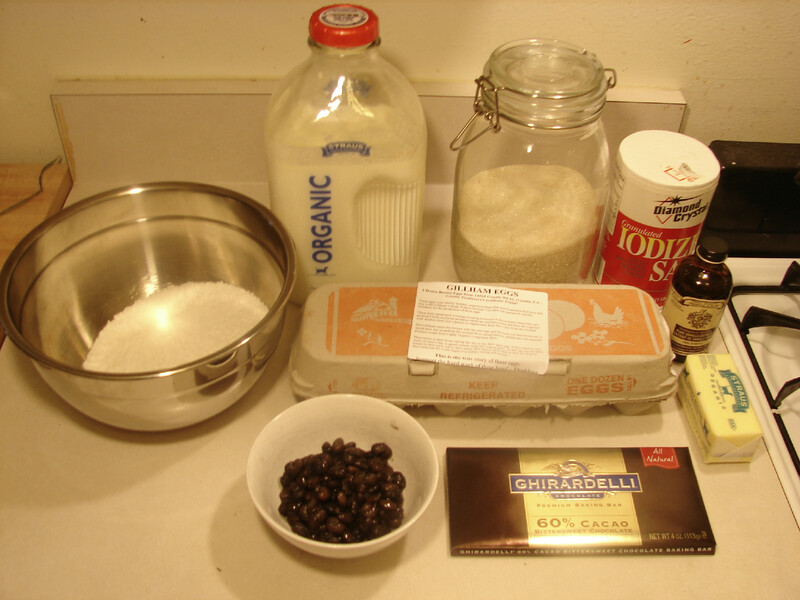 The recipe will probably work with beans other than black beans too.